Mostly Books bookshop in Abingdon : Bookshop Feng Shui, or "Giving the shop a good stir"
Bookshop Feng Shui, or "Giving the shop a good stir"
I couldn't agree more. Feng Shui makes sense anywhere you are and no matter what your goals are. And while it might just be 'easier' to sell more books (here's hoping! ), maybe decluttering and reorganizing will help the customer find everything they're looking for...and more! Nice point, but I think booksellers face a dilemma in that people expect a certain amount of clutter (part of the serendipity and joy of browsing) and yet nice, uncluttered displays can also provide a enhanced experience. I guess the thing to do is have uncluttered parts of the shop (the main tables and some key shelves), but still have cluttered shelves further into the shop for those looking for that slightly random browsing experience. But both need a stir now and again! 3 cheers for banishing cellophane! As forstocktaking, it could be a bizzalion times worse, you could be stocktaking something other than books. Yes, but that's also a bit of a problem. I think the ideal person to stocktake books is someone who hates books! The iron self-discipline you need to not to keep picking up books and going "ooh, I didn't know we had this in" is enormous (not a quality I am especially endowed with). I've been amazed to learn just how many people have ever done stocktaking in a bookshop, but I guess I shouldn't. We got family and friends in to help, why shouldn't everyone else? I can see how that would be a pitfall, and how do you have the restraint not to fil your house to overflowing with books when they are all passing through your hands? I would not totally agree about unwrapping some shrink-wrapped books : my business 'invests' in certain stock ranges such as photography titles, exhibition catalogues, New Naturalist etc. These are all premiun titles which often sell at an enhanced price when out-of-print and are sought after by customers in their 'virgin' state. Its very devaluing to have casual browsers' finger marks on photo illustrations. 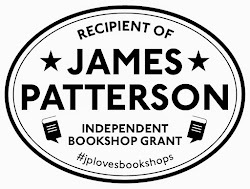 Another point which has to be considered is that there are a new breed of shop browsers who expect open access in bookshops merely to check the contents of a book before they go off and purchase the title on line. Most of the premium titles are in locked bookcases : my genuine customers realise that there is a very serious capital investment in quality stock. 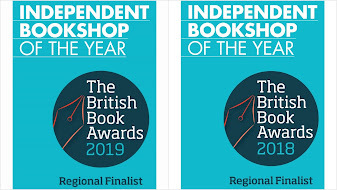 Best of luck with the bookshop award. Hello! Hope things are well in Abingdon! I'm tagging you for a meme... rules for it will be on my blog in the next five mins! Clive - thanks for the best wishes, and a really thought-provoking comment. I guess with experience in the book trade comes an intuition of just what those valuable books will be in the future, which gives you the confidence to invest in them. The New Naturalist example is also a good one, as the only requests for these we've ever had are for the out of print titles - and they go for hugely inflated prices online. Everyone thinks the Internet simply lowers prices, but for niche products like this, what it actually does is to create a highly efficient information-driven marketplace, where everyone can see that a title is scarce, and price accordingly. How true, about unpriced items - I always assume I can't afford them, and don't like asking if there's a chance I won't follow it up with a purchase.